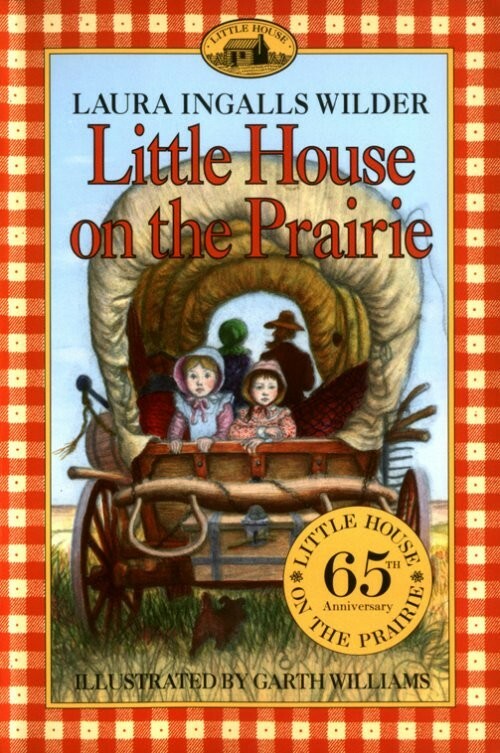 We have in The Little House on the Prairie series a rich American heritage of hard work, an ethos of industry and endurance. I am concerned that the abuse of technology today threatens to cut our kids loose from such a work ethic and is hampering their learning and productive capacity. First, the merits of mechanized living. To say technology is indispensable is to say it is terrific. You will hear no complaints from me about my washing machine. I often counter my own grumblings against the loads to run with the reminder that what I’m doing isn’t laundry. What my grandmother did by the winter river was laundry. I’m sure the Wilders on the prairie would not have minded running water – especially when it was not chlorinated tap. Technology has freed us to create things we could not imagine in times past and has changed how we invent across the spectrum of life. In the arts, sciences, reconstruction of history. Case in point, this dialogue on an international platform with readers across the world. America remains the trademark of free enterprise and I love it. If you’re willing to apply yourself, the sky’s the limit. There is opportunity, there is help, there is scholarship, there is room on the showcase for unique talent. I just fear that each new generation is growing less and less willing to apply itself. Consumerism was nowhere near a household word in the prairie days. Survival meant production, problem-solving, resourcefulness. “Hard” work was a given for both adult and child, the very fabric of life and of growing up, not an extra 30 minutes of exercise they congratulated themselves for. By nature of the wonderful beast, technology will only augment our comfort and efficiency of living as it increasingly bests itself. This entry was posted in Learning and tagged Academics, America, Children, Consumerism, Education, Efficiency, Global, Hard Work, History, Homeschool, Learning, Life Lessons, Little House on the Prairie, Opportunity, Social Commentary, Technology, Work Ethic. Bookmark the permalink. Good posts , enjoyed reading . I am glad I finally found the connection . LOL. I always thought I wanted to be like Laura Ingalls, but I secretly knew that I was way too lazy. I’ve had some other points I’ve wanted to make on the Little House tales. Will let you know if I do. I’m a homeschooing mom too and one idea I had for our regular 5-minute writing exercises was to do a “how to ….” exposition. I remembered doing this in grade 4 and I had a lot of fun with my “how to climb a tree” piece. So I thought my son (also grade 4 aged) would like to do this one day. He is interested although we haven’t done it yet. But I was trying to think what he would write about – what kind of physical, manual thing does he know how to do well enough to write about (make porridge, cook an egg, ride a bike….) I was hard pressed to think of some of the manual labour he can do that would work well with this kind of writing project. I soon realized he needed to have more manual labour in his life, in general, as well as as a prompt to this kind of writing exercisse. I had thought he had quite a bit of how-to knowledge (comparatively) but now I realize there is still a lot more he needs to learn. Thanks for bringing up this issue. I think I need to sit down with my son and talk about manual labour, what he wants to learn – and then – let him write his “how to …..” piece 🙂 – the most important point being the doing of the labour!! Thanks for sharing this piece of your journey. Well, I was in fact highlighting the good in those old days, much of parts 1 and 2.